Young Yu Tae Kwon Do's Kids Martial Arts classes are a fun and exciting way to teach your child the important life skills and work ethic they need to grow into successful adults. Kids who join our classes will enjoy a fun and energetic program that builds strength, flexibility, endurance and character. Not only does our program focus on fitness, self defense, and practical martial arts skills but it also provides them with a safe, positive and respectful environment to experiment new techniques, overcome fears, and tackle new challenges. Learn Effective Self Defense & Build Confidence With Kids Martial Arts In Winston-Salem! Our Kids I class is designed for beginner to intermediate kids ages 4 to 6 to learn basic martial arts skills in a fun and safe environment. We have created a martial arts program that helps our students develop physically, intellectually, emotionally, and socially in an exciting program that is not only keeping them active, but also teaching them life skills that will benefit them their entire life. 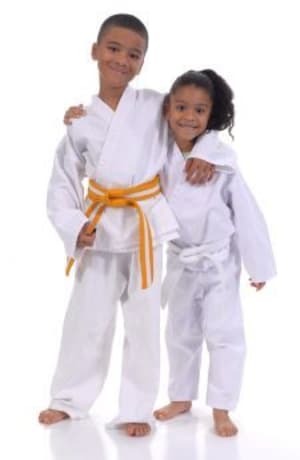 Young Yu Tae Kwon Do's Kids II program is designed for the more advanced Kids, and all kids 7 years and above. This class provides an amazing outlet for your child's excess energy while improving their focus, control, balance, coordination, teamwork, discipline and fitness. Our incredible Kids Martial Arts instructors have created a dynamic martial arts curriculum that teaches kids realistic self defense that motivates them to improve their attitude and empowers them to be the best they can be. Young Yu Tae Kwon Do is proud to offer our Classes for students that are home schooled. These students get the same great Martial Arts instruction in a safe and welcoming environment. These classes are a great opportunity to have your child interact with peers and learn important life skills that will benefit them inside and outside the dojo. Please contact us for more information! Give Your Child A Kick Start To Success! Enroll Today! Getting started is easy! Fill out the short form on the side of this page and give your child the best Kids Martial Arts classes in Winston-Salem! This is the best self defense class ever. My daughter is 5 years old and she really enjoys their lessons and all the teachers here! She works well with them and I like them too. They are serious about respect, but they do have a sense of humor. Great school! We've been sending our kids to Master Adams' school for years and never regretted it. Master Adams is quite literally the little kid whisperer. I've never seen anyone with greater skill at motivating and educating even the brattiest of kids. He and his cadre of instructors excel at tailoring the class for the students who have shown up and always deliver a challenging, tiring evening that leaves the kids happy they came and tired out. The monthly subscription rate is inexpensive considering the personal attention your kids receive. Their adult classes look quite good and are always well attended, but who's got time for that?